The Science and Engineering Quest, arranged by Highland Elementary’s Tim Weber, is a competition for 5th and 6th graders in Clarkston. 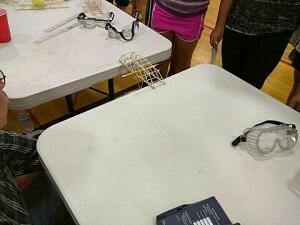 The purpose of the event was to give students many opportunities to develop plans to solve scientific engineering tasks. 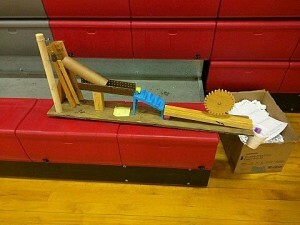 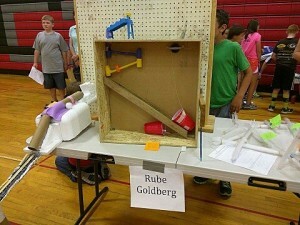 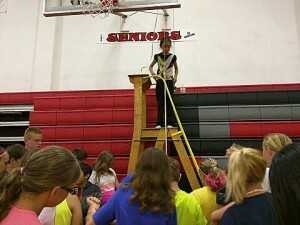 The contest consisted of 5 engineering events: Straw Catapult; Egg Drop; Bridges; Rube Goldberg; and Save the Monkeys. 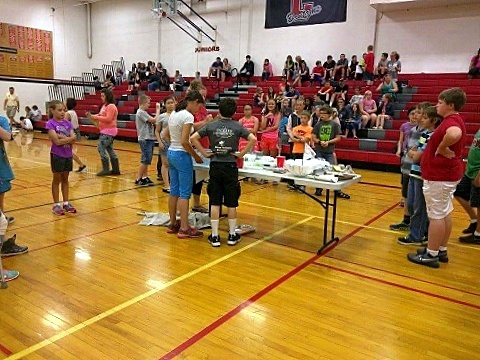 The competition event was held on June 4th in the CHS Gym; over 2/3 of Clarkston’s 5th and 6th graders entered at least 1 of the events for the Science and Engineering Quest, sponsored by the Setlow Science Grant. The 5 engineering projects students contended for were the building a straw Catapult to launch marshmallows the furthest distance, a device to save an egg dropped from the highest height, building the strongest toothpick bridge, constructing a Rube Goldberg machine with the most moving parts, and designing the lightest weight boat to save 100 plastic monkeys.